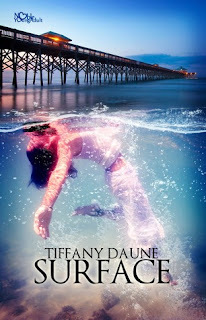 Welcome to our stop on the Surface blog tour. We have an excerpt from this YA paranormal fantasy to interest any reader. This tour is hosted by Xpresso Book Tours. Thanks for stopping by to check it out. Bound to the water bound to land, a Siren’s soul will never be safe on either side of the ocean’s surface. Hidden beneath the rolling waves lies the secret to Theia’s past and as she unveils each haunting truth, she realizes the last seventeen years of her life have been a lie. Now, drawn into a mysterious new world and with nowhere to turn, Theia must place her trust in Luc, a beautiful boy who stops her heart with each dazzling smile, but even his unearthly charm can’t hide the truth—he has secrets— dark secrets binding him to his world—an underwater world where Theia will never belong—a world determined to destroy her soul. Tears streamed down the girl's cheeks. She pounded her knees into Dumas's back, struggling to free herself. Dumas reached for his bag, yanking it closer, and pulled out a black hood. Cradling her neck, he slipped the hood over her head. She tried once more to jab him in the back with her knee, but, as the hood enveloped her face, she gave in to the darkness surrounding her, and her body fell limp. Dumas turned to Oliver, but the boy was bent over, his chest heaving for air. Dumas shook his head, his lips pursed. He didn't have time for this right now. He needed to get the girl out of the house. With one arm, he dragged the girl to her feet and guided her down the hall while Oliver stumbled behind them like a newly resurrected zombie. Downstairs, Dumas found Fiona pacing the kitchen, her black soles scuffing the tiled floors. "What happened up there?" Fiona's gaze shifted to Oliver. "What's wrong with him?" Dumas handed the girl to Fiona. "Take her to the van." He tossed the keys to Oliver who grabbed them. Facing Dumas with hollow eyes, he awaited further instructions. Dumas sighed. "Follow Fiona. You can hold the girl in the back of the van." Oliver ran after Fiona, his feet shuffling through the fallen leaves. Dumas rolled his eyes—next time, he would leave Oliver behind. Dumas knelt to wipe the floor clean. A little dirt wouldn't matter when he had already created such a big mess, but the simple action grounded his thoughts. He stood up, resting his gaze on the collection of photos pinned to the refrigerator, a museum of shared memories. 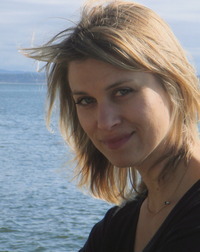 A small picture of the girl's mother standing beside a handsome young man with golden hair and piercing sea green eyes stared back at him. The man's gaze haunted Dumas, filling him with unwanted memories, too painful to remember, and forcing him to look away. Dumas sighed as he removed a crumpled envelope from his pocket. He held the letter tight for a moment before placing it on the table. He traced the scrawled name with his finger—Sophia. He hated leaving her this letter. She had already lost so much. Dumas hoped she would understand, but already he was pulling at stitches—opening a wound so deep nothing could stanch the bleeding. With a heavy heart, he closed the door and headed into the emptiness of the night. Tiffany Daune doesn't get why people want to grow up or why anyone would ever stop eating candy. Her purse is filled with books, lip gloss and a few pieces of Lego bricks. She writes best with a dish of chocolate chips on hand and finds licorice makes a better straw than plastic. She lives on an island and believes mermaids may be raiding her candy stash, thoughshe hasn't caught them, yet. Surface is her first novel and pairs well with gummy sharks. 1 E Reader (Sony or Kindle) I'm going to the states this month and will pick one up. Thank you Reader Girls for being a part of the Surface tour! By the way, I just love your blog header. So beautiful. I noticed the designer... Giselle is so talented. Happy reading!